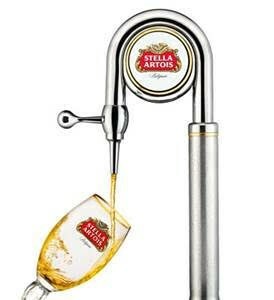 Stella Artois is much more than simply a beer. With strong and proud Belgian roots, every glass and bottle poured, this beer tells a story that began in 1366. Stella’s brewing tradition began in the city of Leuven, Belgium—which is also where the original Den Hoorn Brewery was founded. Den Hoorn laid the foundation for the quality taste and standard Stella Artois is known for. The symbol of the Den Hoorn Brewery is proudly displayed in Stella Artois’ cartouche to this day. Sebastian Artois was admitted to the Leuven Brewers Guild as a Brew Master in 1708, and only nine years later purchased the Den Hoorn brewery. In memoriam, you can find his last name on the brewery and every bottle of Stella Artois around the world. Top international awards have been bestowed on the brewery since 1885 from competitions in Antwerp, Paris, Milan and Australia. The Artois Brewery was so beloved internationally and locally, that a special batch was created as a Christmas gift to the people of Leuven. That special batch was the first to officially include “Stella” in its name. “Stella,” meaning star in Latin, pays homage to this original occasion, accompanied by a star on every bottle. Understanding the rich history aligns with Stella Artois’ rich flavor. Born from Tomahawk and Saaz hops and light barley malt, the premium Belgian blonde lager is golden in color with exceptional clarity and a spicy hop character. It is brewed using only natural ingredients: water, barley malt, hops, non-malted grains and Stella Artois’ unique yeast strain—a much-cherished secret that has been kept throughout the years. 5.2% ABV. Such a special beverage deserves special treatment. At the Seattle Food and Wine Experience, stop by the Stella Artois display to watch beer poured to serve using the nine-step pouring ritual that is a beautiful dance between the glass Chalice and the Draught Master, to deliver optimal flavor with allure. 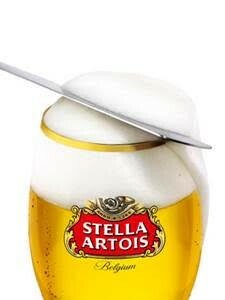 Stella Artois is just as comfortable enjoyed with a meal as when it is served as a refreshing beverage. Being a well-balanced and flavorful Lager, it is versatile with many foods and different styles of cuisine. Whether the menu is grilled meats, fish or spicy ethnic dishes, Stella Artois pairs beautifully. Come visit Stella Artois and watch the dance at the Seattle Wine and Food Experience, Sunday February 21.